This River home by Pine Crest offers spacious living in an open concept that is sure to please. The large kitchen with quartz counters, wood floors, large walk in pantry and hidden work space are sure to be a hit. The 2nd floor features large bedrooms, an incredible master suite is huge with a large bath that features a walk in shower and there is a 2nd floor laundry. The home is ready to move into now. 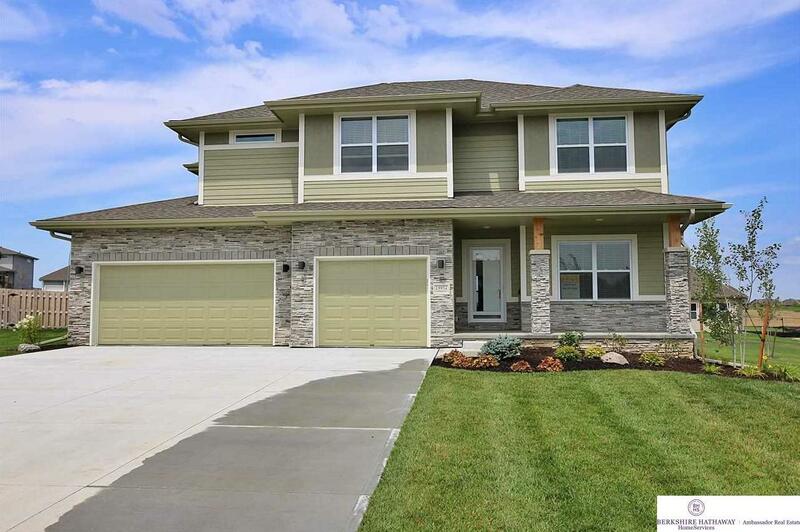 19952 Drexel Circle (MLS #21804432) is a 2 story new home located in Omaha, NE. This new home is 2,568 sqft with 4 bedrooms and 3 baths. This property was listed on 03/23/2018 and has been priced for sale at $374,635. Nearby zip codes are 68007, 68116, 68136 3132, 68136 and 68138. This property neighbors other cities such as Bennington, Elkhorn, Gretna and Other. Listing Last updated 04/05/2019 3:00 PM CDT . Some properties which appear for sale on this web site may subsequently have sold or may no longer be available. Walk Score provided by Walk Score. Mapping data provided by Google and Bing.